Given that Jeremy Salem specialises in obtaining customers via Facebook ads, it’s perhaps not too surprising that I happened into him from my Facebook news feed. At least it proves he’s doing what it says on the tin of his business. It was around the start of this year, when I was focusing more heavily on my drop-shipping store, that his ad was served up. As I would have been hopping a round a few websites looking for information, any relevant site with a Facebook Pixel on it would’ve recorded my interest, and so Facebook did its job and showed me advertising that I was currently interested in. That, or I may have happened on a Jeremy Salem site and not been aware of it, but same result: an ad from Jeremy Salem re drop-shipping was put in front of me. And it was a good ad that caught my attention: Shopify Case Study – From $0 to Over $1mil in 3.5 Months. What drop-shipper wouldn’t be interested in a headline like that?! 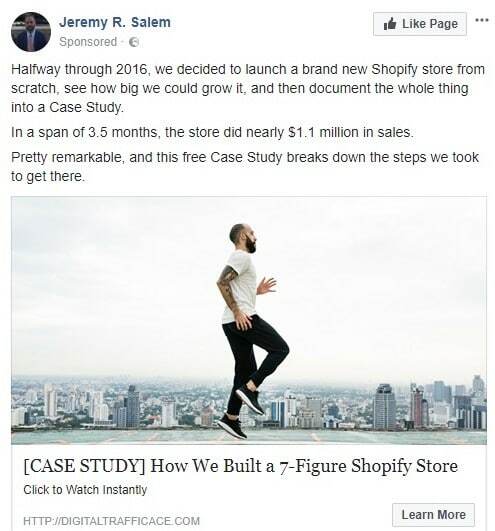 The ad is still swimming around somewhere in the Facebook advertising ether as I’ve seen it again just recently, but not to handicap Jeremy Salem’s sales funnel for it (I had to supply an email to get to the case study) the link led to the following page. At the time, I found that presentation very informative. While the advice still sticks to the five bucks a day advertising formula, Salem does have additional advice on letting a campaign run a few days more based on clicks and abandoned baskets, just to see if it won’t ignite into sales with a little more time. So instead of five bucks, you’re looking at around twenty to twenty-five per ad/item. Which is fine with me, because all that split-testing BS, that’s great with big budgets and big audiences, but without the money to plough into campaigns like that, you’re just play-pretending in your little Facebook sandbox at being a big-boy marketer. You know all the theory, you know why you’re doing it, and that it makes sense, but the reality is on the reach that your five bucks gives you, your Pixel is never going to have the chance to optimise, and thus identify and target the audience segment you’re going after. I’ve read folks say that it takes $75 – $100 just to get your Pixel heading in the right direction. So never mind the whole 500k – 2m audience definition that gets bandied about as dogma, because that’s just too broad for your Pixel to narrow in on your most likely buyers when it kicks off. On that subject, I currently disagree with Mr. Salem. I say “currently” as that’s what my experience to date says. I advocate for hitting your most likely buyers ASAP so the Pixel can then target similar profiles. Which is BS, they’re not, but if you’ve even touched upon a page or website hosting such info – or an associated news piece – then you’re “interested” as far as Facebook is concerned. Which is great for Facebook, wasting your ad budget, serving your ad up to people who couldn’t care less and wondering why they’re even seeing it, impacting your ad with negative feedback of the “Don’t show me this” variety. I’m biased I admit, so when I hear a would-be guru coming out with advice like run three ads, and split test those three ads over three audiences – for an Aliexpress product with a $20 or so margin – I think I’m just getting regurgitation, not advice born of actually having really been in the ecommerce trenches of advertising. Because that sort of split spend is going to add up real fast, and is just not viable. So, I like that Salem says not to waste time setting up a bunch of split tests for an ad/product that you don’t even know if it’s going to sell. I also much like that he disavows everyone of the idea that you don’t have to spend too much money trying to get a return at the drop-shipping game. 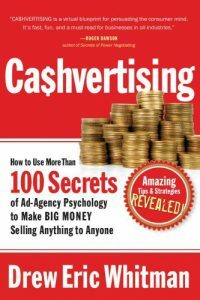 Yes, you don’t have to spend too much for each product/campaign… but you will be running a lot of ads to find your winner(s), and Salem advises – or warns depending on your perspective – that you have to have a mindset prepared to come to terms with spending several thousand dollars on ads in order to be successful. Yup. Let that sink in. And that still comes with a proviso as a ‘maybe,’ because a willingness to spend doesn’t come with any guarantees in itself. However, Salem does explain what to look out for in a potentially successful ad, and when to persevere and when to move on. And that the claim to generating over a $1m for the Shopify store featured in the presentation is of course ‘proven’ only by on screen reports. That’s a lot of moola to vouch for yourself. So we’d need to know ad spend and margin, and what the overall net profit was from the store. Still an impressive first ever quarter sales figure, but what’s the breakdown on all of this? Actually, why even bother consulting at all if you can make that sort of money?! Consulting fees would be just small change in comparison, I’d have thought? Depending on net take, honest reporting, and what you charge for your consultancy, I suppose. But I like Salem’s Digital Traffic blog and his articles, it does smack of actual experience and authenticity to me; that he’s not just another bandwagon guru in the Clickbank mould. There’s an inteview in Small Business Trendsetters about his business Smartstep Media, but I haven’t been able to find too much by way of reviews for this guy’s stuff. His pages list their own testimonials, but I was looking for something a bit more independent. I also gotta say, that the web page for Smartstep isn’t exactly great for a guy touting SEO and traffic solutions – great as in the page is still sporting the default tab title “title” amongst other things. But to be charitable, perhaps it’s because Salem doesn’t have a ream of packaged digital products, is one of the reasons why there’s so little information to be had. It’s when there is digital products to be had that you get the mass of reviews with the click bait titles like “Digital Traffic Ace – Is It a Scam?” and then you get a thin content review on the sign up process and a few screenshots taken from the sales pages that tells you NOTHING, not even the author’s opinion – because beyond looking at the sales pages they haven’t even watched the webinar or sales pitch video. That’d take too much time and be a little too much like work. As an aside, while I have a preferred program I recommend, I don’t recommend it at the expense of shitting on everything else. I hate them ‘reviews’ too. Tell me something I don’t know, or about something I’ve never heard of. 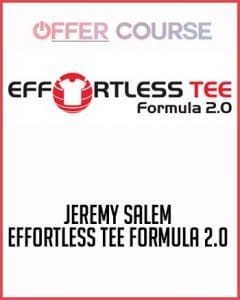 But anyway, I did find a couple of products: the Effortless Tee Formula 2.0, going for $59 – reduced from $697. Despite liking Salem’s writings, I gotta roll my eyes at that classic marketer’s ‘discount,’ though I don’t know if that’s his marketing or the work of the page the product’s sitting on. Similar to Salem’s main consultancy/program work, I couldn’t find any reviews for this product either. Then there’s the Broad Targeting Formula in conjunction with Brad Stephens. There’s a few reviews for this offering to be found, not a plethora, and they’re all favourable. Plus this product isn’t looking for $$$$, it’s priced at $97. There’s a few pricier upsells, but I forgive Jeremy that. Meh, he’s a marketer, not a saint, and there’s redemption in the form of this site that throws in a lot of free bonuses with the product, including a variation on the t-shirts thing. Checking out Digital Traffic Ace’s web stats on SimilarWeb, it’s still too small to meet the minimum threshold to be recorded. In that regard Digital Traffic Ace’s Facebook page only has just over 15k likes at time of writing. To put that in perspective Neil Patel’s page has 913k+. So it would seem Jeremy Salem isn’t that well known. I can’t vouch for his coaching, but as I say, I like what I’ve read on his blog and seen in his other freely available pieces. If I was going to go down the route of getting some ecommerce/Shopify coaching, I’d consider contacting the guy (or his team) and maybe arrange one of those free phone calls, hear what they had to say etc. I also like that Salem isn’t spamming Clickbank with products (unless it’s under another name) and the focus of the business seems to be genuinely consultancy based. As in, he’s not afraid to speak to you, have his brains picked, and his knowledge and advice put to the test. There’s definitely some (Clickbank) ‘gurus’ that couldn’t do likewise; wouldn’t even make the offer (unless they could find someone to outsource to it to). So, yeah, check him out, or at least the drop-shipping presentation I linked up to. And if you’ve got any hard dealings of working with Digital Traffic Ace or Jeremy Salem, let us know what you thought of the experience in Comments below. 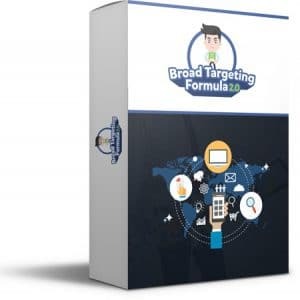 If you’re interested in drop-shipping and Facebook ads, then you’re probably interested in other avenues of making money line. If so, check out Wealthy Affiliate. It’s not e-store selling, but as the name suggests, affiliate marketing. If you’ve not explored that subject previously, then I can assure you it can be very lucrative. 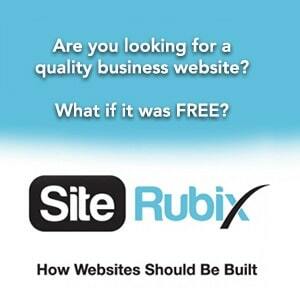 And not as expensive as drop-shipping as you won’t be ploughing money into Facebook ads. Not that I’m dissing the process or the subject of this article – Jeremy Salem – for promoting that sort of advice in the niche, as I play the drop-shipping and Facebook ads game of roulette myself, and enjoy it, but that’s the reality of it. Making money the Wealth Affiliate way is a whole lot easier on the pocket, albeit if it is slower and requires more patience. There’s no credit card required for signup, none of that “necessary for verification purposes” BS, it’s free to join and you get a week’s worth of full membership to give you time to check the place out, see if it’s for you. After that your membership reverts to the free level. You can read my review here. If you’ve got the correct temperament, aren’t looking for a get-rich-quick scheme (which doesn’t exist) then maybe it’s for you. One reason i won’t start an E-commerce store, is the lack of money for Facebook ads. We are all different in our needs, wants, and resources. If my money situation changes, i may have a look at this program, but i just don’t have thousands lying around. 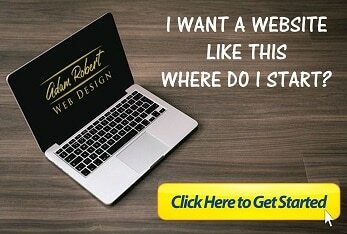 My websites are relying on the cheapest traffic available, organic traffic. As i have less than 12 months online experience, this form of traffic is all i can aim for. Down the track, with more online experience, a Facebook ad campaign may be used. Is this program aimed at beginners, or experienced online marketers? HI Greg, like all these programs, Salem claims it’s valuable for both beginners and experienced ecommerce marketers. I don’t think it’d be cheap coaching whatever level you’re at, and on top of that you’ve got the outlay for Facebook ads, and four thousand dollars was the figure Salem mentions you could be looking at spending in that area alone. Of course, you can expect that all back and then some if you find a couple of winners, but it sounds like a gamble to keep playing the Facebook ads roulette wheel until (if) you do. I’d say you need to play Facebook ads if you’re selling from an ecommerce store or you’ll sit open for business with no customers. If you can afford a little help, it might be worth it to contact Digital Traffic Ace, and see what they have to say at least. If you’re doing review based blogging, like this site, then I reckon you can forego Facebook ads, and rely solely on SEO to bring you your audience. If you’re of a patient temperament, because it does take longer – but it’s free and over time can bring your site a daily audience that’d cost a three figure ad spend per day with Facebook. Better yet, those visitors will be on your site because they were searching for what you’re selling, rather than you intruding on their Facebook news feed like a cold caller during your favourite TV movie; a problem no matter what you’re marketing on social media.